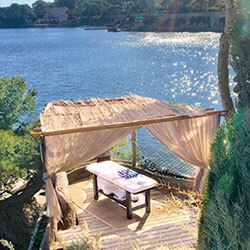 We take you on a trip to the Saint-Jean-Cap-Ferrat peninsula and more precisely to Hotel Delcloy to meet Nora, a specialist in oriental massages for over 15 years. Located in the Baie des Fourmis between Nice and Monaco, Saint-Jean-Cap-Ferrat is a haven of peace, which contrasts with the eventful activity of the Côte d’Azur. A nugget to discover absolutely and whose charm will surely conquer you! It is in this green setting, a little out of time, that Nora welcomes us with a wide smile. We immediately notice that this adept of oriental massages likes the contact with others. A beautiful promise of relaxation in prospect. For Nora, massages are above all an exchange between 2 people based on listening and trust. Before each session, she strives to engage in dialogue in order to understand and respond to the needs or desires of her “guest”, as she likes to say. Very appreciated for her empathy and her sure gesture, this graduate of 2 oriental spa schools continues to perfect her knowledge by currently training in sophrology. With a sparkling and joyful nature, it offers very different treatments than those carried out in an institute. Neither a healer nor a therapist, she knows how to relieve by offering adapted massages based on kneading. Under his expert fingers, we recharge our batteries, even rebuild ourselves. To reach the treatment room, you have to go down the steps leading to the pool and take the small path that leads to the outbuildings. Just above the port of registry, overlooking the cliff, silky drapes signal the entrance to Nora’s cabin. What could be more soothing than having a massage in the open air with, for the only music, that of the sea hitting the cliff! It is in this idyllic setting that she practices her art. In the evening, Nora installs candles and scents to add to the magic of the place. The silence that reigns there contrasts with the liveliness of the young woman, thus creating a fair balance. Scrub with essential oils, oriental care ritual, plantar reflexology, back or face care, nothing is too beautiful to allow you to let go. A moment of intense relaxation to enjoy under Nora’s expert and caring eye. 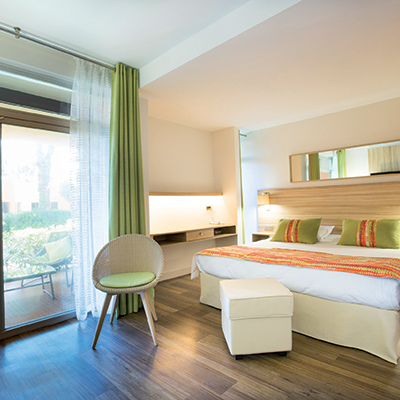 When time does not allow it or if the guest is unable to move, Nora also provides care directly in the hotel room. Even if the weather is rather mild in the south, sometimes the rain comes to the party, preventing you from enjoying an outdoor session. But nothing can stop Nora! She then comes to you and transforms your room into an ephemeral treatment room for a massage session in cocooning mode. “For clients who are not in a state of mobility or simply when it rains, I intervene directly in the room.” (Nora). In the tent above the sea or in the warm hotel room, it is not uncommon for the session to continue over tea. Convinced of the benefits of nature and organic farming, Nora is never eager for advice on the subject. 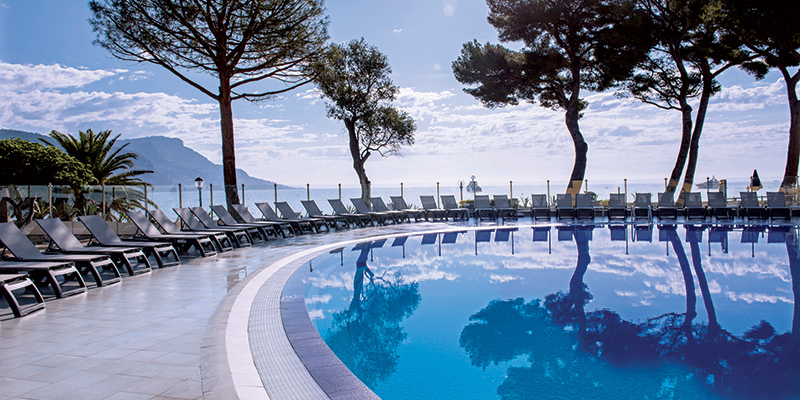 To discover its secrets of well-being, only one address… the Delcloy Hotel in Saint-Jean-Cap-Ferrat.